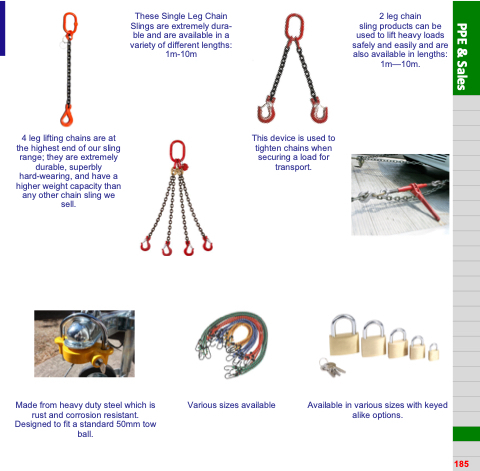 4 leg lifting chains are at the highest end of our sling range; they are extremely durable, superbly hard-wearing, and have a higher weight capacity than any other chain sling we sell. This device is used to tighten chains when securing a load for transport. sling products can be used to lift heavy loads safely and easily and are also available in lengths: 1m—10m. Made from heavy duty steel which is rust and corrosion resistant. Designed to fit a standard 50mm tow ball. Available in various sizes with keyed alike options.